You may, instead, want to have a closer look at the 18″ Professional Microfiber Mop that is getting very positive reviews on Amazon. 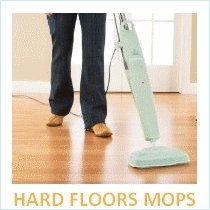 It can clean basically any kind of floor and the microfiber mop pads are machine washable. The pads will even pick up pet hairs and small debris and do a much better cleaning job than an ordinary mop. 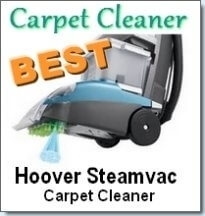 This is a quality mop at a affordable price tag. A review of the Clorox ready mop, assembly instructions and why you should consider purchasing this all in one mopping system. 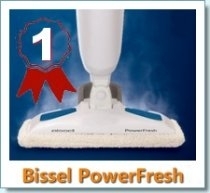 Its features include an on-board cleaner with absorbent cleaning pads. You can attach scrubbing pads to the swivel head which provide a much improved scrubbing action that scrubs away the dirt and grime with ease and finesse. They also report that it still remains safe enough to use on your hard wood floors. This mop comes with its own liquid cleaner which you can buy refills of on Amazon or through the official website. The cleaning fluid is easily applied to the floor’s surface by pulling on the trigger mechanism. The cleaning solution is fast drying and it immediately gets to work by attacking the dirt on your floor. The trigger allows you to control the amount of cleaning solution that is sprayed onto your floors. The solution is stored within the mop and as a result you no longer need to get your hands wet by using a bucket to mix your own. You don’t even need to use water to rinse the solution off, so this is a completely hand’s free method of cleaning your floors. The absorbent pad takes care of this by trapping the dirt and remaining liquid using a capillary system which you can easily dispose of without you having to wring out the mop. In fact, all you have to do is push the mop around and spray the solution when necessary. The swivel head makes sure that the mop is very maneuverable which allows you to clean all of those nooks and crannies around your home. Each Clorox mop package comes with a completely assembled mop which measures about 49 inches. You get eight absorbent Cleaning Pads, one bottle of cleaner which can last you up to 3 months and contains 710 ml of solution and an advanced floor cleaner. Each cleaning pad measures about 21.6 cm x 26.7 cm. So what about consumer Clorox ready mop reviews? 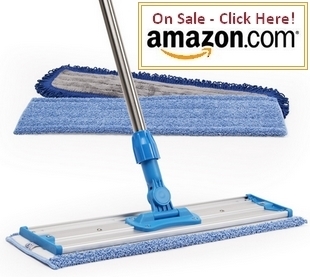 Well, this mop can be bought for about $99 on Amazon and has a 3.5 star rating. There are many mixed reviews about this mop which we will now share with you. According to one customer, she’s surprised that the mop doesn’t “push itself!” since you barely have to do anything. The days of the traditional mop and bucket are long gone. The Clorox mop is advertised as being available as a Starter kit with a pack of 4. This has led many consumers to believe that they are getting four mops. However, this is not true as there seems to have been a mistake. You in fact, get one (1) mop. 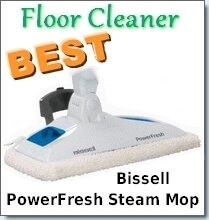 It is great for saving time when cleaning your floors and is great for cleaning pet and kid messes around the home. It acts as a sanitizer and actually disinfects your floors. 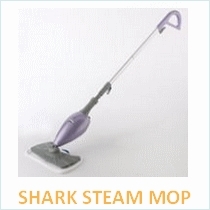 Most owners agree that the mop is not very durable and breaks easily; however most of them don’t mind! This is surprising but it seems people are so pleased with this product that they don’t mind buying it over and over again. Some people don’t care for the disposable pads and a few even reuse them. 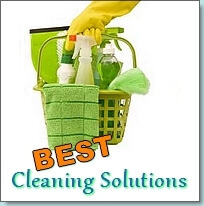 It is recommended that you buy the official solution when one finishes, however many consumers report that it works just fine with other cleaning solutions. 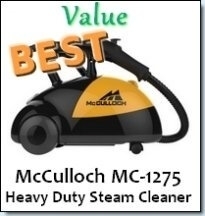 Another mop you can consider is the Lysol steam mop or Eureka enviro steamer steam mop 313A. You can even try mailing or contacting them and telling them how much you enjoy and love their products and simply ask for a coupon. However, this is not a guaranteed method.